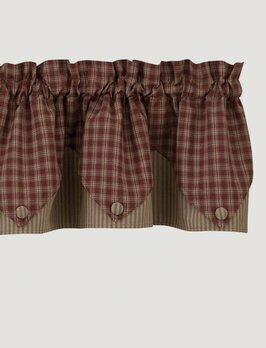 This Wine valance is part of our popular Sturbridge Collection. 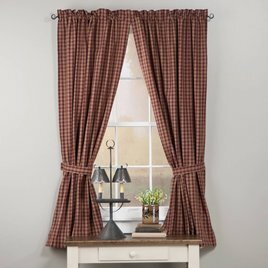 Featuring a 1.5-Inch rod pocket, this unlined valance may be hung inside a window box or on a standard curtain rod. Can be used with a swag set for wider windows. 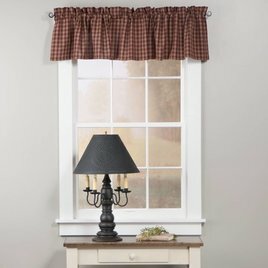 The Sturbridge Wine Panel finishes off any country window. This lined Panel measures Measures 72-Inches wide x 63-Inches long and is made of 100% cotton. A perfect look in your traditional home.